Several fields remain unfarmed on the west side of the San Joaquin Valley due to high salinity levels and heavy clay soils. This three-year project goal was to use subsurface drip tape to deliver ambient air with water, also known as micro bubbles. 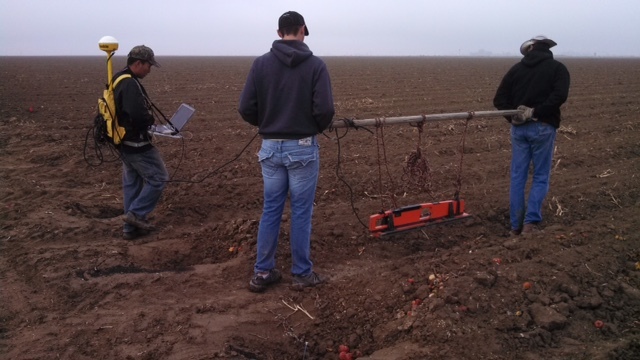 The objectives of the project included the following: determine the impact of air injection on yield and quality of fresh-market tomatoes grown on a salt-affected heavy clay soil; determine if any increased growth of plant and root masses occurred; and evaluate the impact of air injection irrigation on the soil’s chemical properties with an emphasis on soil salinity levels. 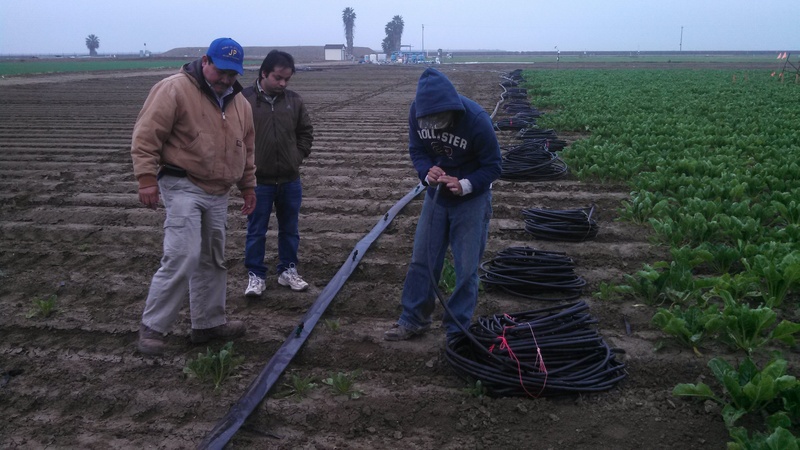 Sun Pacific® in Firebaugh and Mazzei Injector Company from Bakersfield assisted in the project which uses patented high-efficiency Venturi AirJectors™ in tomato fields. Over the course of the three-year project, 12 Fresno State students worked with researchers by collecting and analyzing data in the lab and field. Some of the tasks included soil mapping; water, soil and plant sampling; and data analysis. In addition, students made several presentations at different conferences regarding this project. Preliminary findings have shown positive improvement in the top foot of the soil. In order to see long-term effects, more research needs to be done. A final report of the project will be published in September 2015. The project was funded in part by an Agricultural Research Institute (ARI) grant, Sun Pacific® and Mazzei® Injector Company. Soil Mapping by Fresno State Students. 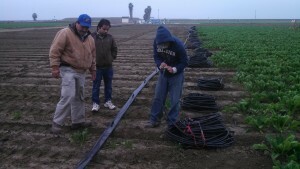 Fresno State Staff and Students installing drip tape in the tomatoes field.